Temporary, Contract, or Contingent Staffing- Whether your needs are for a special project, to cover employee vacations, or a flexible workforce at peak times, we’ll fill your needs in a timely manner at a reasonable rate. Smart Hire- With this program if you like the idea of Intent-to-Hire, but prefer to recruit on your own, Sedona provides the same services as Intent-to-hire, but at a reduced rate. Early Hire- This program is preferred by customers who want to hire employees in less than 90 working days. We bill you for each hour the employee works until you are ready to make a hiring decision. When the customer hires the employee on to their payroll, we charge a buyout fee. Early Hire buyouts are available anytime after week 1 thru week 16. Buyout fees are agreed upon prior to the employees arrival. Permanent Placement- We normally only charge 1% per thousand of salary up to 15% for permanent placement. We arrange the interviews, share feedback, help to negotiate salaries and act as a facilitator in the placement process. We continue to check with our client and the new employee throughout the probationary period (60 days) to ensure that you are both 100% satisfied. If the employee is terminated before 60 days, the fee is adjusted 1/60th of the fee for each calendar day worked from start date. Site Management- This customized program lets us become an extension of your HR Department and allows us to integrate with your work environment while managing the entire supplemental staffing workforce. We can implement the program on or off site. 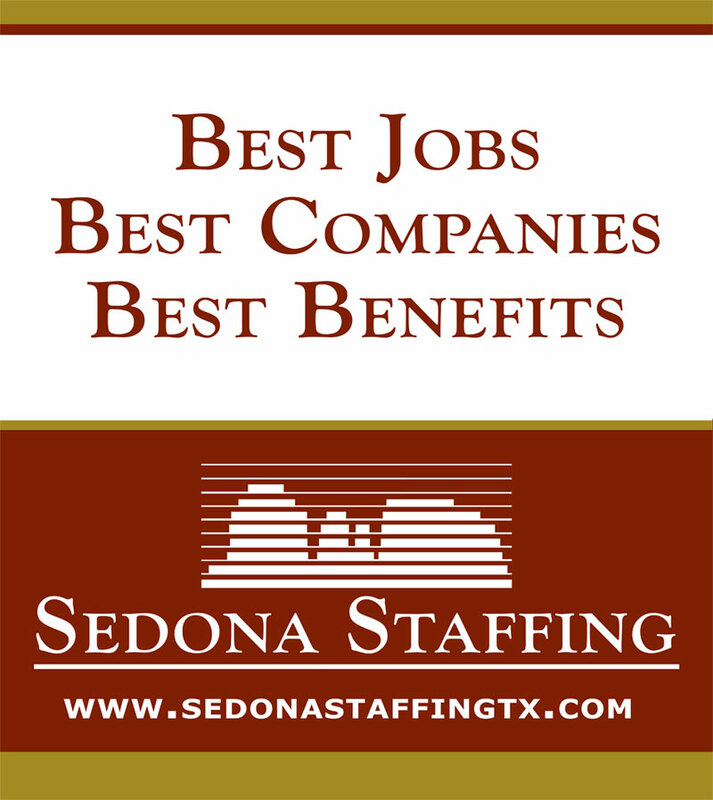 PEO/Staff Leasing- With this unique service, Sedona helps you outsource the legal and administrative responsibilities for part or all of your payroll, benefits, and other human resource functions. Small Business Program-This program is designed for small businesses. It reduces turnover, gives you a partner in the hiring & firing processes, provides an excellent benefits program, handles all your payroll & taxes plus provides Worker’s compensation & general liability, and it all costs less than what it would if you purchased it all separately! Additional Services- Human Resource Consulting, Human Capital Management, Managed Services Program (MSP), Vendor Management System (VMS), Safety Analysis, Executive Searches & more…..
For an Extension of your HR Dept. Click here to learn more about our response capabilities and recruiting expertise. Can your company hire someone for less than us? What’s your cost for Payroll Taxes? FICA, Workers Compensation, SUTA, FUTA & Liability Insurance. What’s your cost for Benefits? Hospital Insurance, Dental Insurance, Life Insurance, 401K, Supplemental Insurance, Profit Sharing, Section 125 Plan, Etc. What’s your cost for HR Administration? Hiring, Training, Recruiting, Reference Checks, Background Checks, Drug Screening Etc. What’s your cost for Paid days Off? Vacation Pay, Holiday Pay, Personal Days, Sick Leave Days etc.